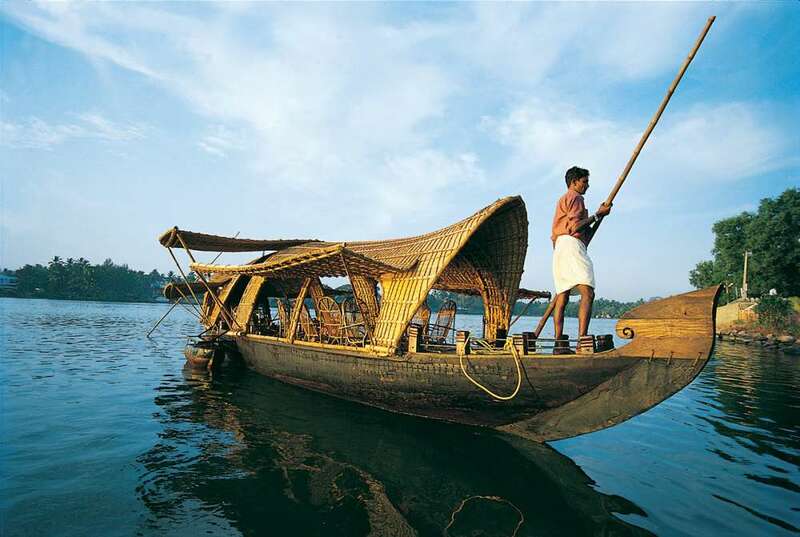 Exotic India Tour - A beautiful tour of Kerala and Tamil Nadu! Day 1 – Mumbai / Delhi: Arrive at Mumbai/Delhi. Overnight at hotel in Mumbai/Delhi. Day 2 – Mumbai / Delhi – Thiruvananthapuram : (Tiruvanthapuram Arrival) Breakfast at hotel. Transfer to airport for flight to Tiruvanthapuram. 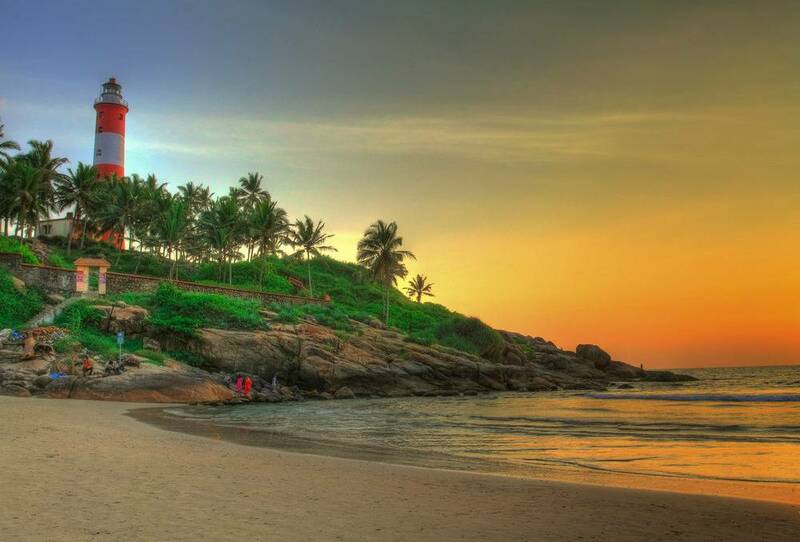 From the airport drive straight to Kovalam which has one of the most beautiful beaches of the world. Overnight at hotel. Day 3 – Kovalam: Breakfast at hotel. After lunch excursion to Kanya Kumari to visit the stunning Padmanabhapuram palace and to enjoy the unique experience of Sunset & Moon rise over the ocean simultaneously. Return to Kovalam in the evening. Overnight at Kovalam. Day 4 – Kovalam: Breakfast at hotel. 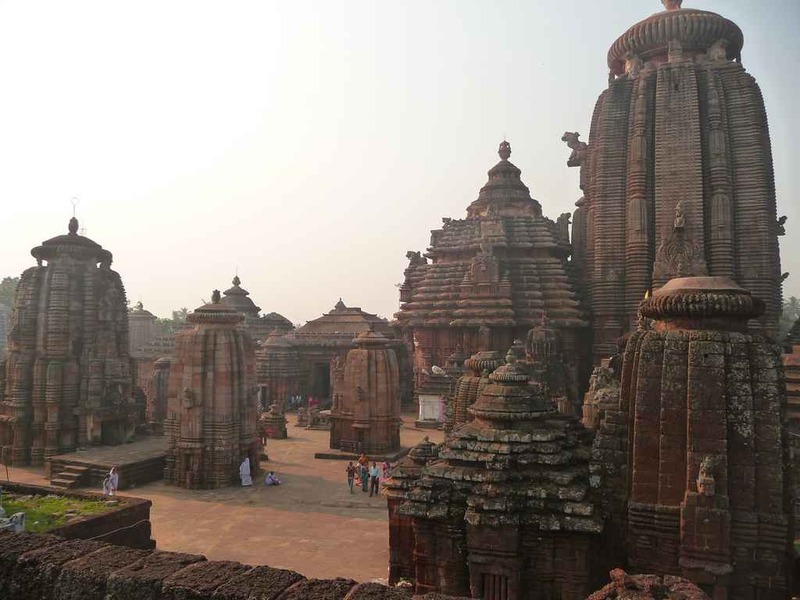 For the half-day visit Shree Padmanabha Swami Temple, Napier Museum, Chitralayam Art Gallery, Zoological Gardens, Reptile House Observatory and Kanakakannu Palace at Trivandrum. . Rest of the day at leisure. Overnight at Kovalam. 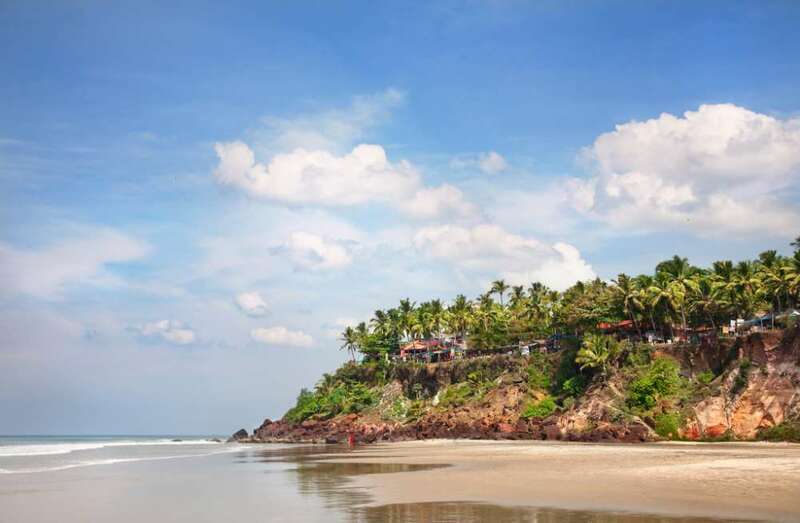 Day 5 – Kovalam – Quilon: After breakfast, we drive to Quilon one of the oldest ports of the Malabar Coast and were once the centre of international spice trade. Overnight at Quilon. 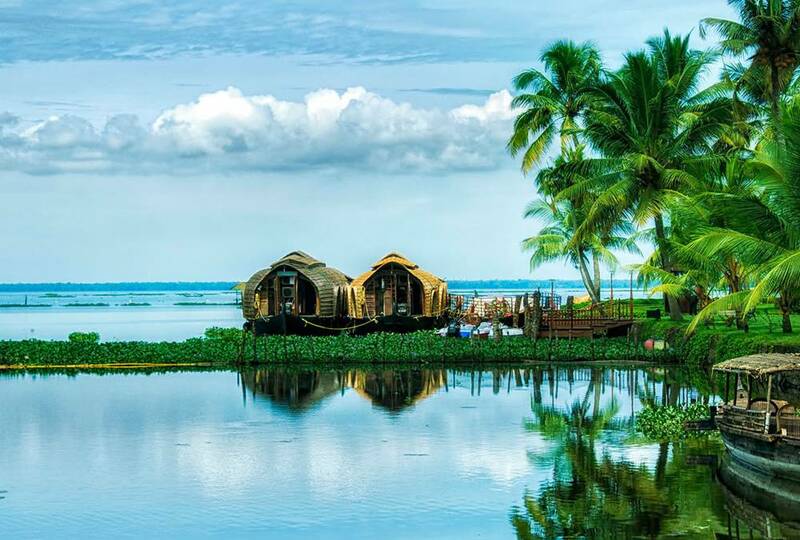 Day 6 & 7 – Quilon – Alleppey: Breakfast at hotel. 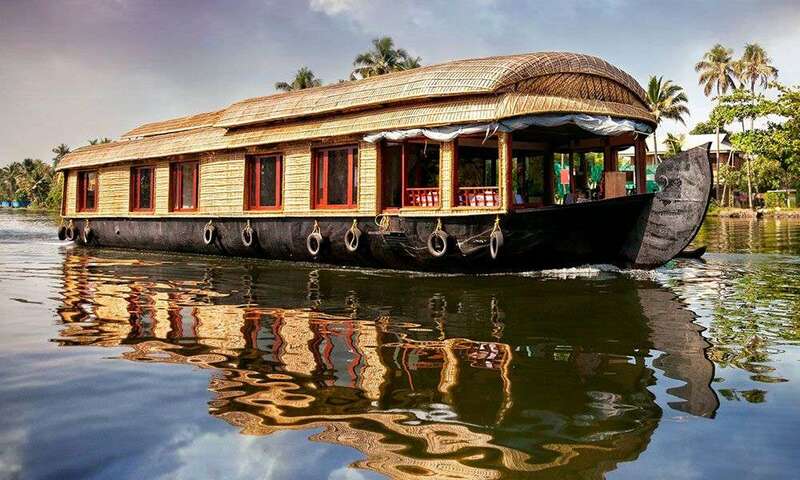 From Quilon, we take Kerala’s traditional houseboat for Alleppy, which is a fabulous way to explore the fascinating beauty of the backwaters. We reach Alleppy by next day morning. Use the rest of the day in exploring and in shopping. Overnight at Houseboat. Day 8 – Alleppey – Periyar: Leisurely breakfast in the morning. We reach Periyar by noon. 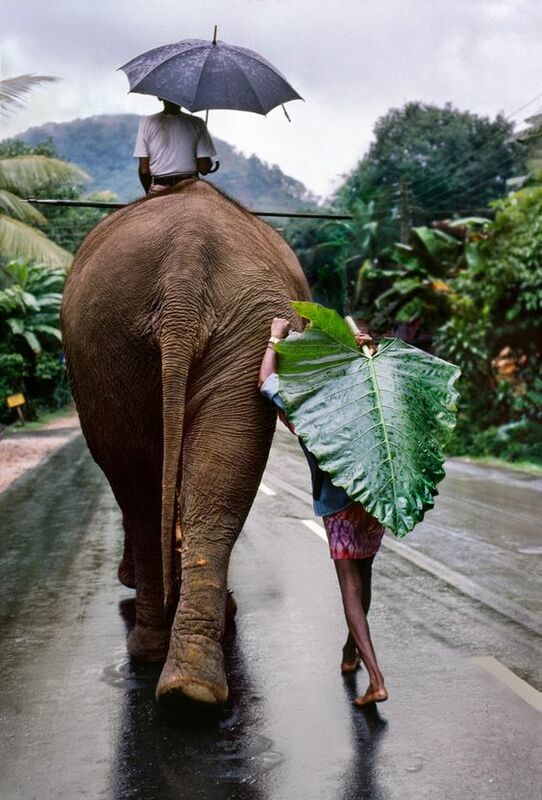 After lunch we take safari to a nearby Coffee Plantations & villages. Day 9 – Periyar: Early morning we take boat ride over the Lake Periyar to watch animals in their natural habitat on the water’s edge. While cruising on Lake Periyar, you are likely to see animals like Wild Boars, Sambars, Wild Dogs, Langur Monkeys and Wild Elephants. For the lunch we return back to hotel. Late After noon we again visit the park by cruise, as once is not enough to explore it fully. 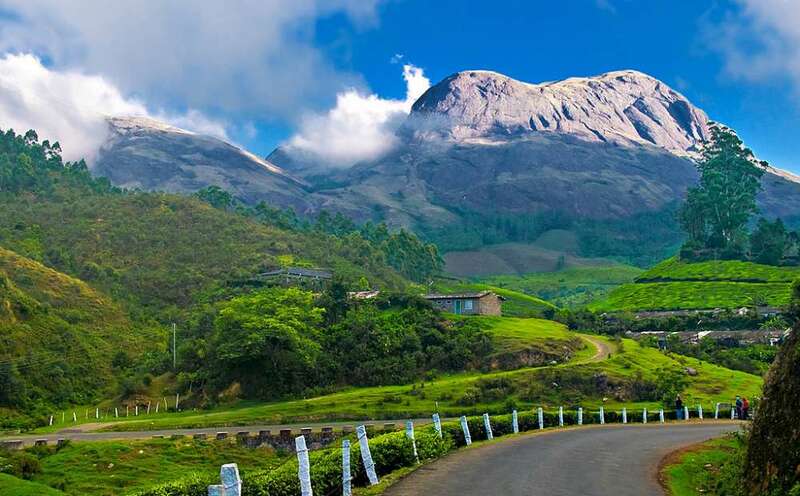 Day 10 – Periyar – Munnar: From Periyar we continue to Munnar set amid Southern India’s most dramatic mountain scenery and the combination of craggy Peaks, Manicured Tea Estates.Crisp mountain air makes Munnar a delightful alternative to the better known hill stations of Tamil Nadu. 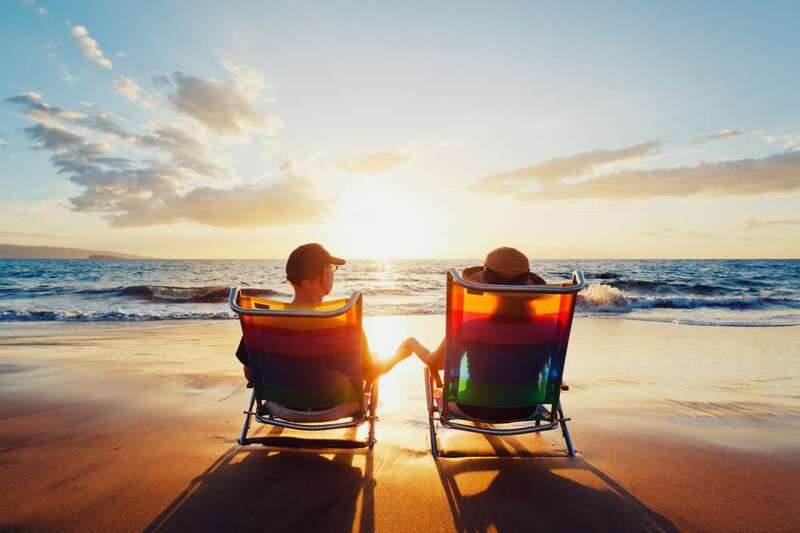 It is a perennial favorite of ‘Honeymooners’ and offer magnificent scenery and wonderful walks. 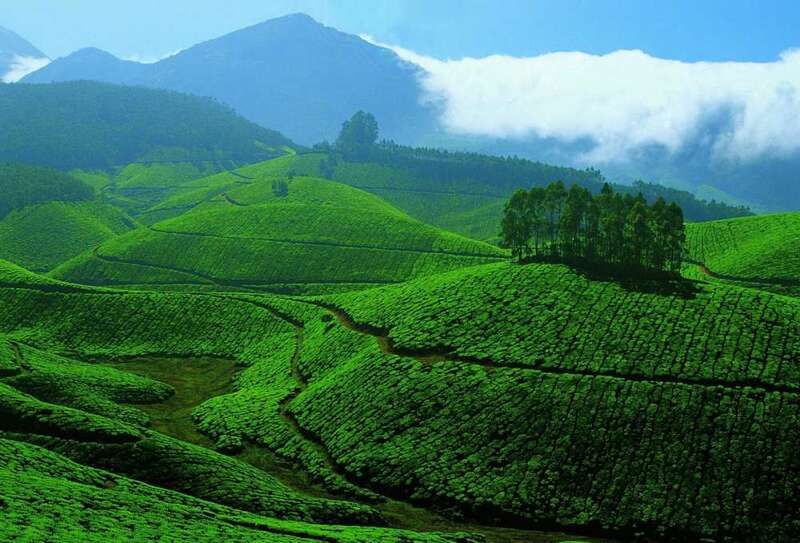 At Munnar you are free to explore its beauty of nature. 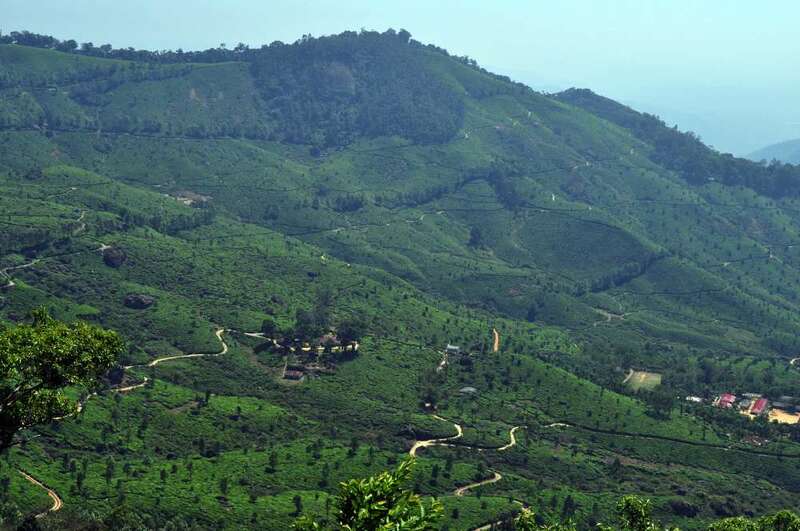 Day 11 – Munnar: Complete day at leisure. 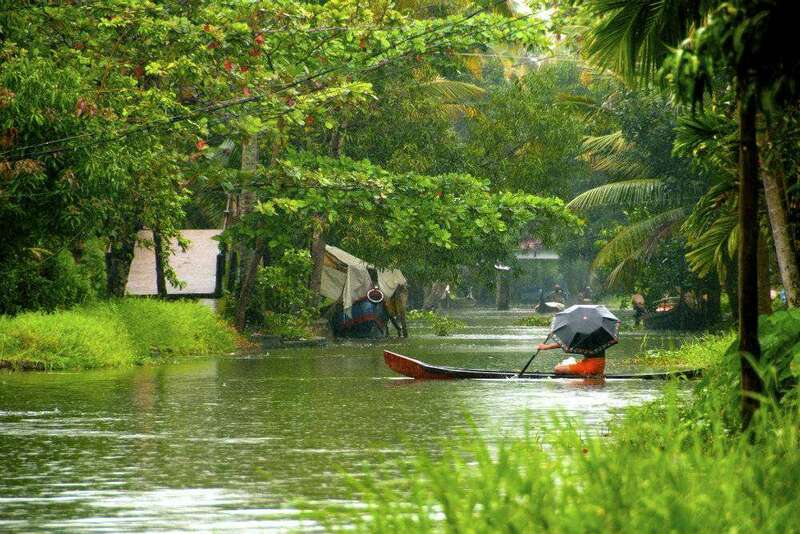 Day 12 – Munnar – Cochin: We reach Kochi by noon and keep the day for the shopping and personal activities. 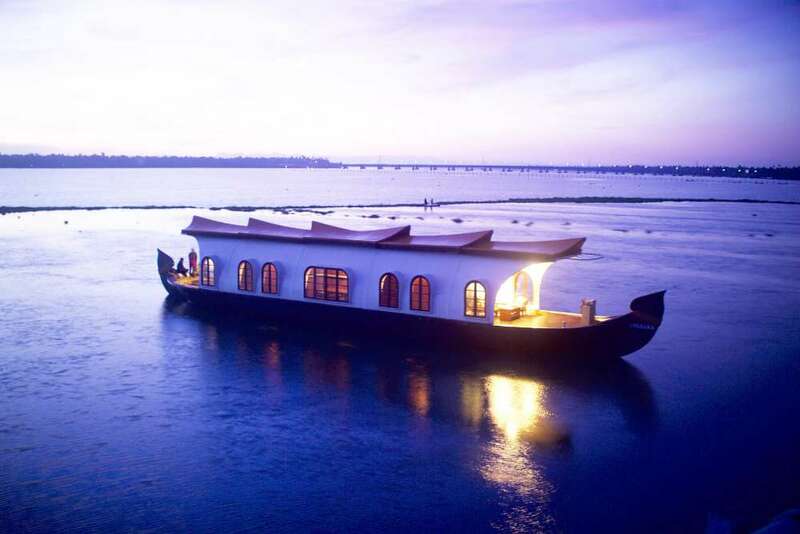 At the time of sunset we take Boat Cruise on the backwater which gives an opportunity to behold the great charm of this city. Day 13 – Cochin – Mumbai: Breakfast at hotel. Transfer to airport for flight to Mumbai and then connecting flight home.